The most dangerous threat we face today is no longer military, but rather the increasingly pervasive exposure of our personal information. Nothing undermines our freedom more than losing control of information about ourselves. In addition to social media and online browsing, shopping and streaming, our smart devices—from iPhones to the car GPS, from Fitbit to your smart fridge and interactive children’s toys—are collecting our personal habits. We’re not leaking personal data; we’re hemorrhaging it. At the same time, the commercial drive to enhance marketing tools has encouraged relentless innovation in data collection and exploitation. And yet, as daily events underscore, we are ever more vulnerable to cyber-attack. Today’s rampant technology, and the convenience and opportunity it offers has numbed us to our loss of privacy. The availability of data is only going to grow in years and decades to come and Secretary Chertoff argues that we urgently need to regulate how government and the private sector are allowed to make use of that information, without sacrificing our liberty and civic values. The Henry Jackson Society is proud to invite you to an event with Secretary Chertoff who will draw on his experience as US Secretary of Homeland Security and co-author of the USA Patriot Act to explain the complex, global legalities surrounding issues of data collection and a way forward that could balance the needs of individuals, government, and business alike. On the 6th of September, the Henry Jackson Society had the pleasure of hosting Michael Chertoff, former United States Secretary of Homeland Security. He presented his latest book Exploding Data: Reclaiming Our Cyber Security in the Digital Age, which addresses the legal issues arising from new data collection methods. The event was chaired by Dr Alan Mendoza, executive director at the Henry Jackson Society. Secretary Chertoff explained in the beginning of the talk that the background for this book was a series of government jobs he held throughout his career. He recounted how there was no Department for Homeland Security when the US was attacked on 11th September 2001 by Al-Qaeda and how these events exposed a global security threat from a non-state terror network. While in conventional warfare, combatants wear clearly identifiable uniforms and radars can detect enemy missiles, 9/11 posed questions how terrorists can be recognised and future attacks prevented. This lead to the collection and analysis of private data to identify terror suspects. Meanwhile, such data is also used for commercial purposes and even for attacks. Secretary Chertoff stressed the importance of granting individual’s rights to control the usage of already existing data about them. He pointed out how in the past, privacy was mostly focused on one’s property. However, new technology to record daily life call for changes in law to better protect citizens’ private data. Technology to record individuals’ activities has become more accessible and greater storage capacities permit the accumulation of large amounts of data. Privacy has already eroded to a great extent and the current challenge is how individuals can permit or reject the use of data gathered about them. Secretary Chertoff pointed towards China’s Social Credits Score, which aims to use private data to determine whether someone is a ‘good’ or ‘bad‘ citizen. This decision may have profound effects on a citizen’s career. Because the usage of private data increases the possibilities for social control, Secretary Chertoff calls for rules that better protect information about individuals and limit its use. However, individuals often have no choice whether they want to provide private data or not as many services demand private information for the use. For this reason, Secretary Chertoff called upon governments to better regulate these services and suggests that consumers should be given the option to choose whether to pay in cash or private data for a service. He also advised the audience to be more mindful how much private data they reveal to online services. Collecting data is not only an important measure to prevent terror attacks, but can also be used for subversive purposes. 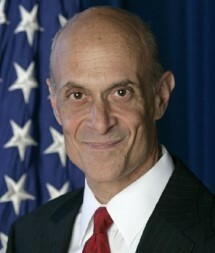 Secretary Chertoff named the 2016 Presidential Elections as an example of the weaponised use of private data to target voters with specific messages. As more sophisticated technology enters our living space, such as Amazon Alexa or Echo, information will become more precise and more exploitable. The talk was followed by a lively Q&A session that touched upon further challenges to the limitations of the use of private data. For example, national legislations are tied to borders while data exchange occurs at a global level. 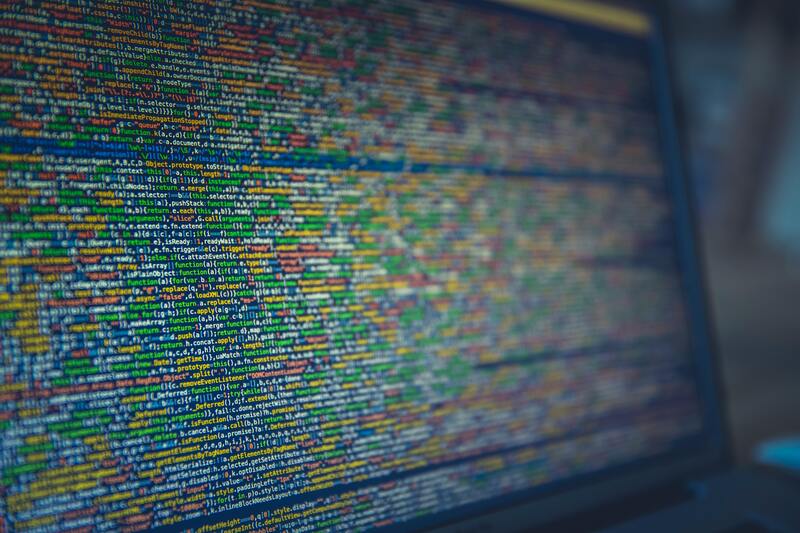 This means that while an individual may have their data removed from one domain, the same information can still be available on other parts of the web. The discussion also turned towards the potential threat of cyberwar. Attacks on digital systems raise complex questions. For once, the definite attribution of an attack is very difficult and potential culprits may find it easy to deny responsibility. Furthermore, delivering an adequate response is a challenge, as escalation of the conflict is a potential threat and innocent lives might be hurt. Based on his experience as prosecutor, Secretary Chertoff proposed that while data collection should happen, the information should only be analysed when there is a valid reason to do so. The Henry Jackson Society would like to thank Secretary Chertoff for the presentation of his book Exploding Data and his insightful talk about the pressing issue of regulating the use of personal information.